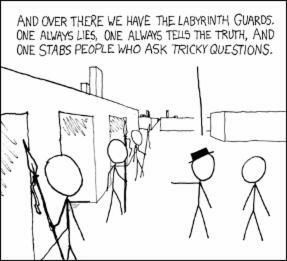 This cartoon is intended to suggest the incompleteness theorem by leaving the word "complete" out of the last sentence, thereby demonstrating its incompleteness. Dr. Kurt Godel (1906-1978) was an Austrian Mathematician who left for America in 1939 after Austria's annexation by Germany, traveling via the trans-Siberian railway to Japan to San Francisco to Princeton New Jersey. 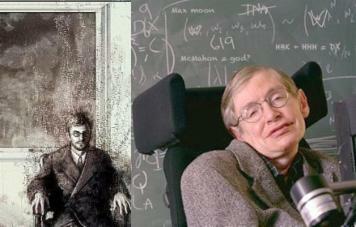 There he joined his friend Albert Einstein at the Institute for Advanced Studies. Dr. Godel, a logician, mathematician and philosopher, most famously, in 1931, curtailed the half-century pursuit of a logical structure sufficient for all of mathematics. His "Incompleteness Theorem" proved such a logical structure cannot exist. The nineteenth century ended with great optimism in science, with the belief that after a few pesky problems were cleared up everything that needed doing would have been done and afterward there would be little for scientists to do but add precision to previous findings. Great breakthroughs were underway in mathematics as well, and respected mathematician, Dr. David Hilbert, was moved to announce a to-do list for future generations of mathematicians. His list of twenty-three problems, presented to the Second International Congress of Mathematicians, held in Paris in 1900. Godel's incompleteness theorem stopped pursuit of the second problem by proving it unresolvable. 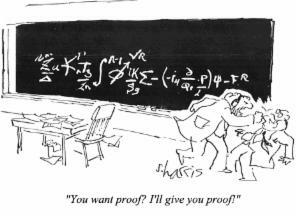 He later developed half of the proof that problem one is also unresolvable. Gödel’s work in the foundations of logic was revolutionary and his incompleteness theorem was stunning. It said there were things that couldn’t be proven either true or false within any logical system that was complex enough to have any application or interest. Until then there had been a notion, now realized to be naïve, that logic could solve any problem: any assertion was either true or false and a clever mind could demonstrate which, with an unquestionable proof. 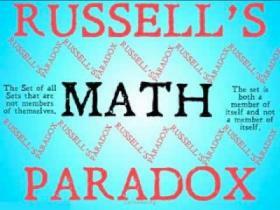 Mathematics was the province of unassailable verity. Gödel broke this icon. 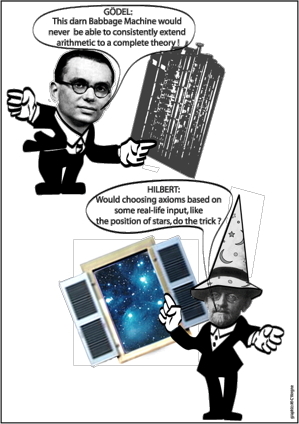 A logical system is considered “consistent” if none of the axioms (i.e. foundational assumptions) conflict with, or negate, each other. A system is considered “complete” if all assertions that can be made within the system can be proved either true or false. 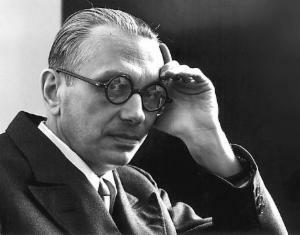 Gödel showed that if a system is complete it cannot be consistent, and if it is consistent it cannot be complete. An obvious conclusion is that logic, the practice of arguing veracity from accepted assumptions, cannot lead to total understanding, even within the constraints of the assumptions. There are always things beyond the reach of any logical mechanism, no matter how clever the logician. That is terrifying stuff to anyone relying totally on logic. The whole notion of unprovability has proven confusing for many in and out of science and mathematics. What does it mean, to say something cannot be proved? Things are either true or false, aren’t they? Gödel seems to have discovered limiting boundaries on the world of our intellect. 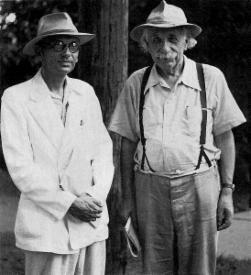 Gödel collaborated with Einstein at the Institute for Advanced Studies and his influence rolls down to the present and the attempts by Stephen Hawking to develop his theory of everything (TOE). And, finally, Gödel, like all great thinkers, continues to inspire and engage as both a neatly packaged icon for the public and as a player in the ongoing drama of human discovery.